Do you feel like your landscape is lacking? Looking to become more sustainable with a fruit tree or bush? 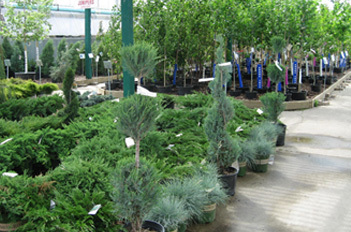 Kuhlmann’s works hard to provide the best in healthy, sturdy, long-lasting and zone-specific trees and shrubs for your yard or acreage. Whether you’re looking for a fantastic fruit tree, something for shade or a beautiful border, we’ve got what you need! Our knowledgeable staff can suggest specific instructions and placement ideas to suit your particular needs concerning light, size, water requirements, fertilizing, pruning and growth habits.